In the ongoing battle to get more drivers to put down their phones while they're behind the wheel, a new report from State Farm insurance company is a sobering reminder that there's still a long road ahead. But while the biggest culprit for these distractions continues to be texting and driving, another dangerous habit is becoming more prevalent: Accessing the Internet from the driver's seat. State Farm's latest survey, released Tuesday, found an increase in the percentage of drivers who are using their phone to surf the Web, when they should be keeping their eyes and mind on the road. Chris Mullen, State Farm's director of technology research, attributed this trend to the prevalence of smartphones, saying 88 percent of the survey's approximately 1,000 respondents owns one of these devices. "They have the opportunity now to access these features and these functions [using the Internet] that weren't available in phones just a few years ago," he said. "With that opportunity comes the temptation to want to check some of these other sites beyond just a text." According to State Farm, 29 percent of drivers surveyed access the Internet while driving. That compares to just 13 percent who admitted to surfing the Web while driving in 2009. Meanwhile, 36 percent admitted to texting, a number that's remained relatively steady over the study's seven-year history. The results are worrisome. According to the National Highway Traffic Safety Administration, 3,179 people died last year in vehicle accidents where the driver was distracted. Many of those victims were the drivers themselves. State and federal governments have been actively pushing drivers to put their phones away while driving, and many states have passed laws making it illegal to hold a phone to talk or text while driving. Still, drivers can't seem to break these potentially deadly habits. "They are most likely to text in an intersection when stopped at a red light," Mullen said. "What the federal data tells us is that 40 percent of crashes happen at intersections. So just because they are stopped doesn't mean that there isn't a demand on their attention." 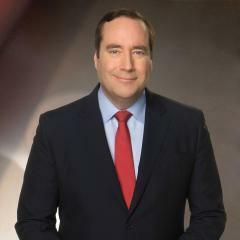 Philip J. LeBeau is a CNBC auto and airline industry reporter based at the network's Chicago bureau. He is also editor of the Behind the Wheel section on CNBC.com. Prior to joining CNBC, LeBeau served as a media relations specialist for Van Kampen Funds in Oak Brook Terrace, Ill. Previously, he held general assignment reporting positions at KCNC-TV, the CBS affiliate in Denver, and KAKE-TV, the ABC affiliate in Wichita, Kan. LeBeau began his career as a field producer at WCCO-TV in Minneapolis, where he wrote, produced and researched consumer stories. He graduated from the University of Missouri-Columbia School of Journalism with a bachelor's degree in journalism and broadcasting.